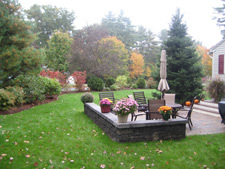 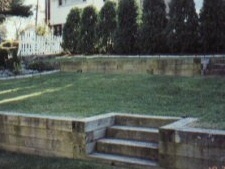 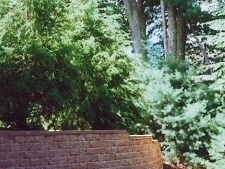 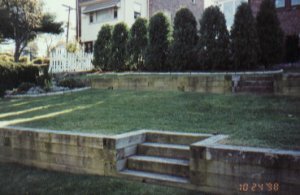 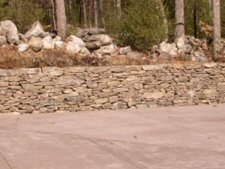 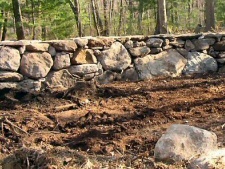 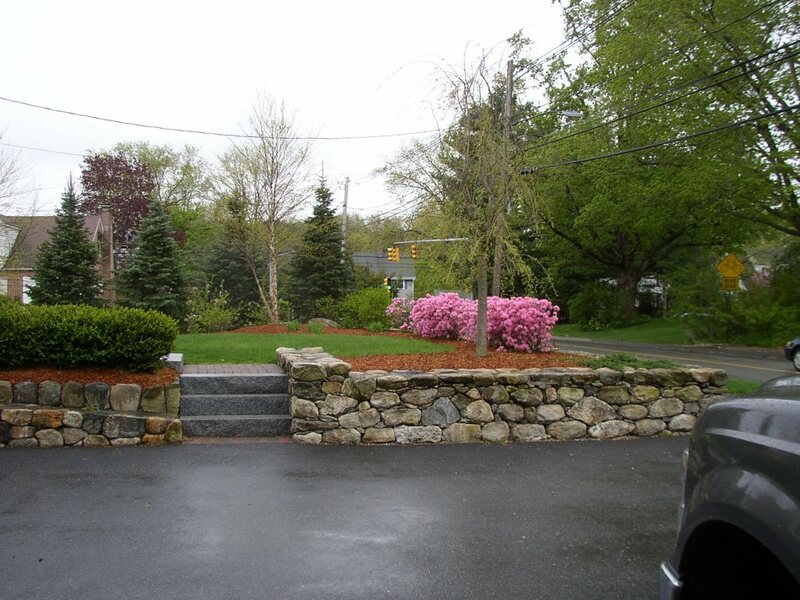 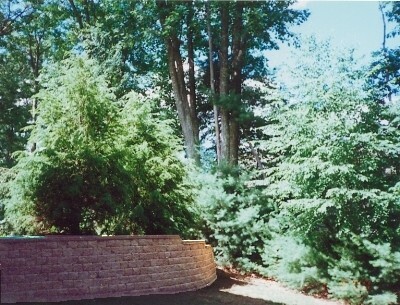 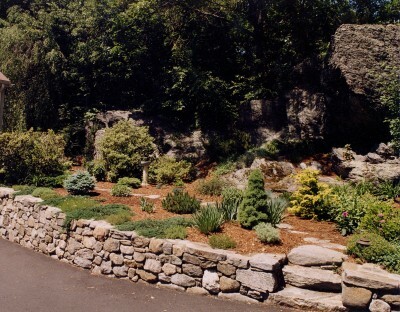 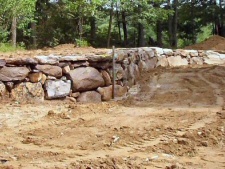 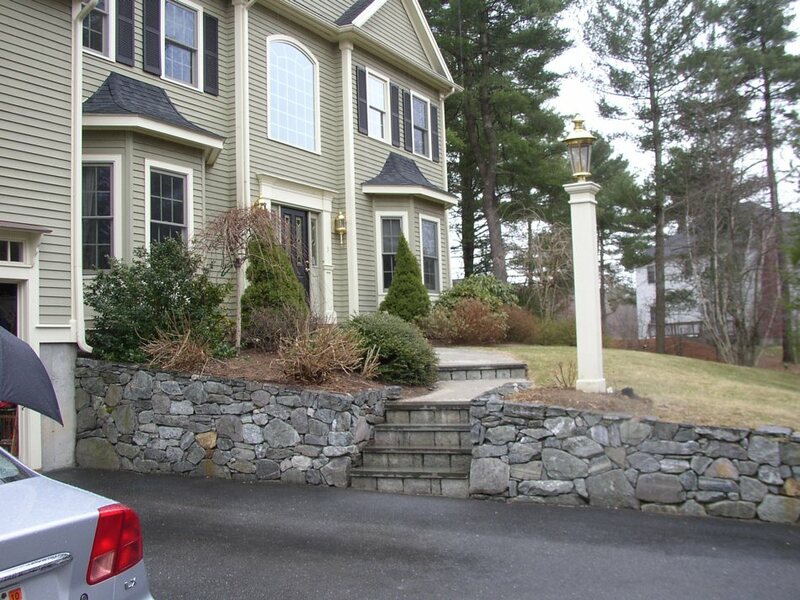 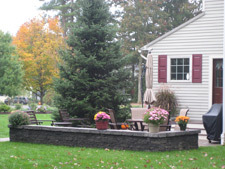 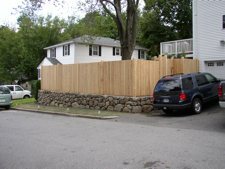 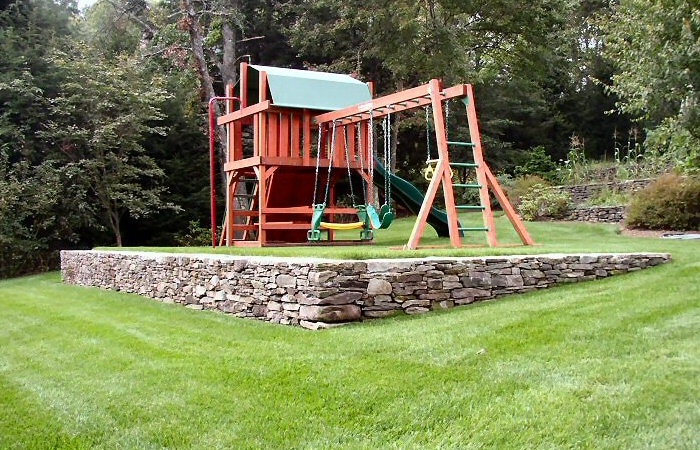 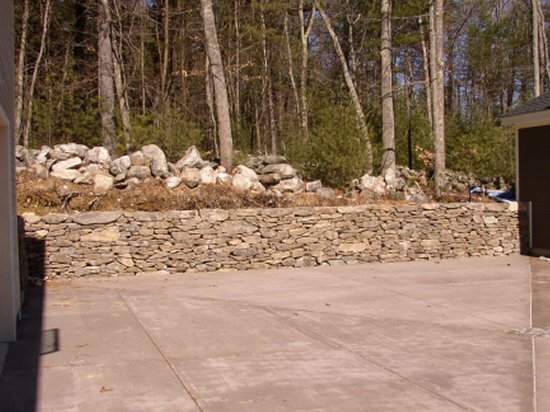 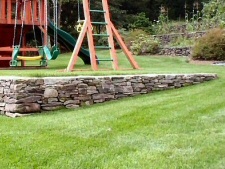 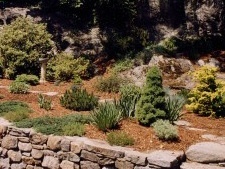 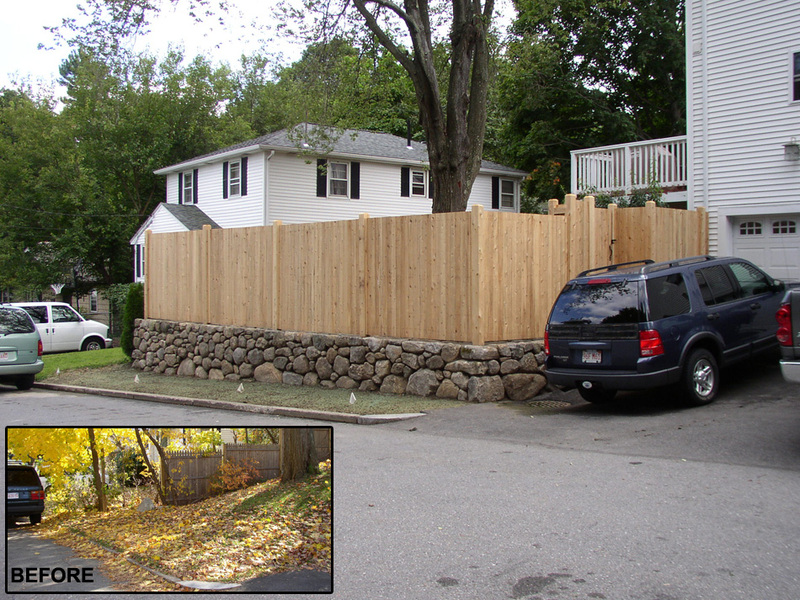 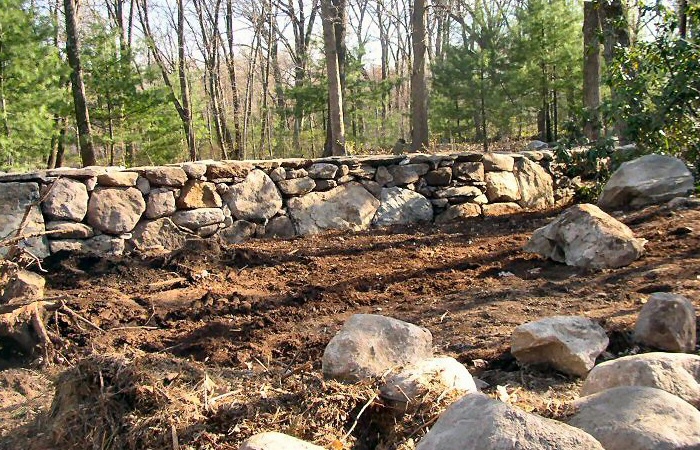 Creating a wall can turn an unusable side or backyard into a functional recreation and/or leisure area. 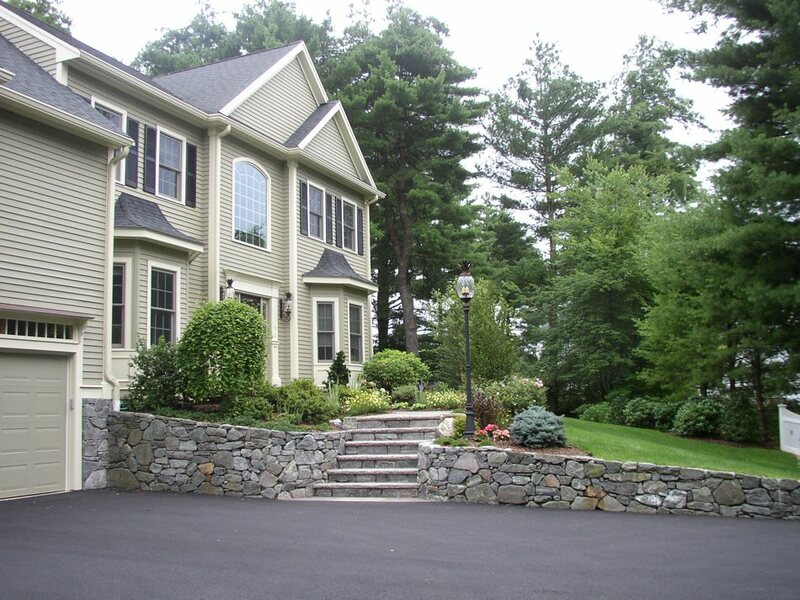 By incorporating a stairway, a property can flow from one area to another. Natural stone, pressure treated timbers and concrete segmented retaining wall stone each brings its own beauty and feel to a property. 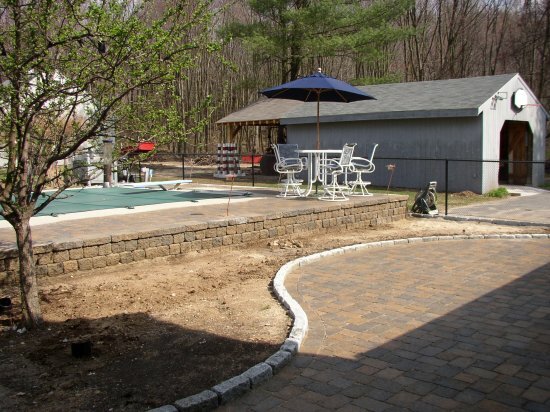 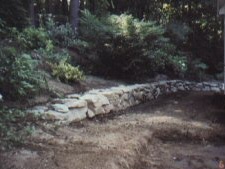 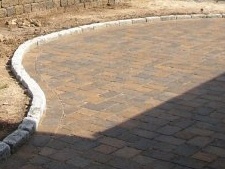 As with walks and patios, the initial excavation and crushed gravel base preparation are the keys to a successful wall. 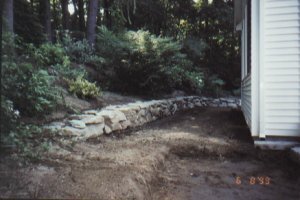 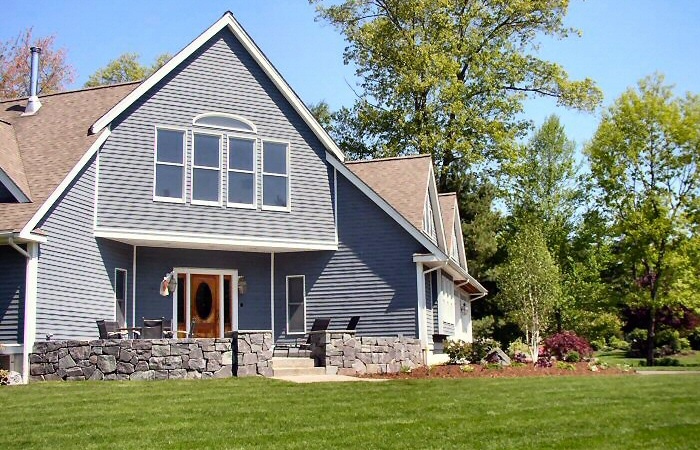 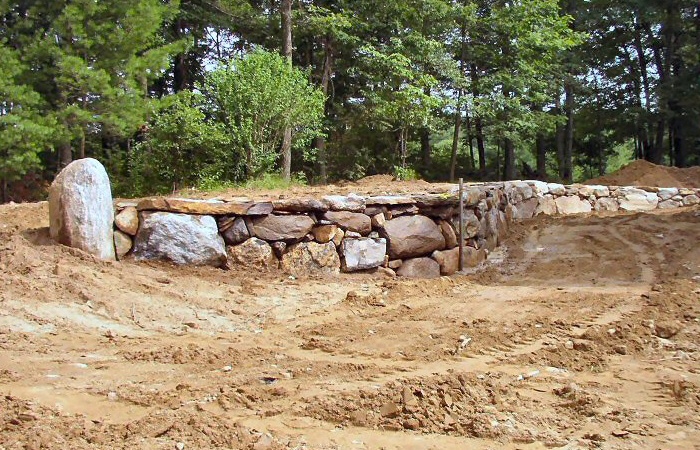 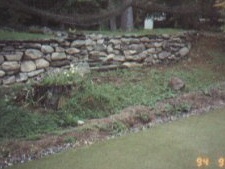 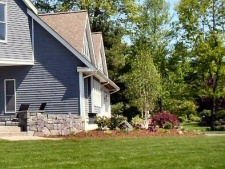 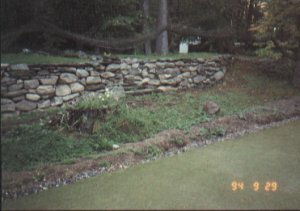 Proper drainage behind the wall is achieved through sand or gravel backfill, and with larger walls the installation of drainage pipe to siphon excess water.